to assist Christians in living for the glory of God... and doing it joyfully! computer resources and formal education. No... we're not veterinarians and neither are we pet spiritualists! Cat n Dog Theology has just found a unique, memorable, humor-filled, scripture-based way of communicating the need for Christians to re-think their relationship with their Master (God). The purpose of Cat n Dog Theology is to call the global church away from its self-centeredness and to focus on the glory of God. "Cat and Dog Theology" is a fresh way of looking at your relationship with God, the Bible, yourself... and the world. We tend to live our lives trying to get from birth to death in the safest, softest, easiest and most comfortable fashion possible. Simply put, we "say" we live our lives for God, but we actually live it for ourselves. We "say" God is the main character of the Bible, but we underline the parts about us (how He will bless us, watch over us, protect us and save us). And when we pray, we spend much of the time telling God what we want. So, again, while we "SAY" we live our life for God, in our self-centeredness, we live our lives, pray our prayer and read our Bibles as if it's all about US. It all begins with a simple joke: It's been said that "Dogs have Masters - Cats have Staff". Cats may call you Master, but tend to live a self-centered life - where you are there to serve and take care of them. On the other hand, Dogs are eager to see and please their master. "A dog may look at you and think, 'You feed me, you pet me, you shelter me, you love me -- You must be god!" On the other hand a cat can look at you and say, 'You feed me, you pet me, you shelter me, you love me -- I must be god!" -- You see, they both look at the same information, but because of their self-centered or master-centered attitudes, they come to totally different conclusions! It's been said that ancient Egyptians once worshipped cats as gods, and the cats have never forgotten that! In a similar way, many Christians look at all that God has done for them - and while they "say" He is 'Master' -- they treat Him like staff". That is, they use their prayer time to tell God what they want, when they want it and how they want it -- and if He doesn't do it accordingly, they complain! They think life is all about them and they use God to make them happy. Using humor and contemporary teaching methods Cat n Dog Theology presents a relationship with God in a new light. While laughing, our defenses are down and we open our heart allowing the Holy Spirit to show us our true selves. I like to call this "Joyful Conviction". And seeing ourselves and our relationship with God both, as they are and as He wants it, we're lovingly directed to life-change. Started in 1999, Cat n Dog Theology events are now being taught in 30 countries and represented by a multi-national team. The book is now in 10-languages and there is a CHILDREN'S version of the seminar that runs concurrently with the adult seminar. Resources continue to be produced and are available in book, cd, mp3 and dvd. These and other resources may be viewed at the tab BOOK STORE. -- But, by far, the best experience is to have a live event in your church! General Introduction - "Yes, but what is it?" Cat 'n Dog Theology is a high-impact experience that examines the heart of Christians in the 21st century and the typical modern message about Christianity being presented in today's churches. Through humor and scripture the presentation pricks our spirit and tickles our funny-bone resulting in an overwhelming sense of "joyful conviction". Using an illustration of "cats and dogs" and how each relates to its master, Cat n Dog Theology challenges Christians to see how we tend, like a cat, to use our Master mainly for getting what we want. The illustration points out the difference between "us living for God" and "God living for us". The average Christian while saying he lives his life for God is actually living his life to get from birth to death in the safest, softest, easiest and most comfortable fashion possible -- and often just uses God to keep him safe, soft, easy and comfortable - and to keep the difficulties, trials, tragedies and adversities away. 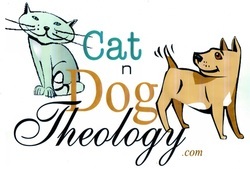 Cat n Dog Theology will help the people of your church switch from "Me-ology" to "Theology". Cat n Dog Theology takes missions off the back-burner and moves it to the front so your church will want to incorporate missions into everything it does. Cat n Dog Theology focuses on the Glory of God as the primary motivation and purpose of our lives. It challenges the church to recognize that MISSIONS is one of the best ways to radiate God's greatest glory! Your church will never do missions the same way again! The "Cat 'n Dog Theology" event has over 10 one-hour presentations we can choose from to customize the presentations to your needs. Yes, we can do 1,2,3, 4 or more sessions - whatever is best for your schedule. Please recognize though, that the more time you give us, the more information the Holy Spirit has to cultivate changes in the listeners! Note: Besides a children's version of this life-changing event, there is a special training available for your children's teachers so they can both follow up on what is taught at this event and bring missions into the theme of each week's lesson . More information is provided elsewhere on this site about these special features.